Hey gang, Valkor here. And I’m riding the E3 2014 wave. I did things a bit differently this year than previous years, for one thing I didn’t book too many appointments – that can nget rather frantic jumping from place to place, so I stuck with the walking the floor for hands on of whatever I could. I didn’t get the opportunity to attend last year, which was when they lost a section and my assumption was that the place would be overcrowded and I wouldn’t get too much done as I’d end up fighting my way through the crowds. Thankfully, it was pretty smooth walkthrough, still packed, but not crazy packed as I would have thought. 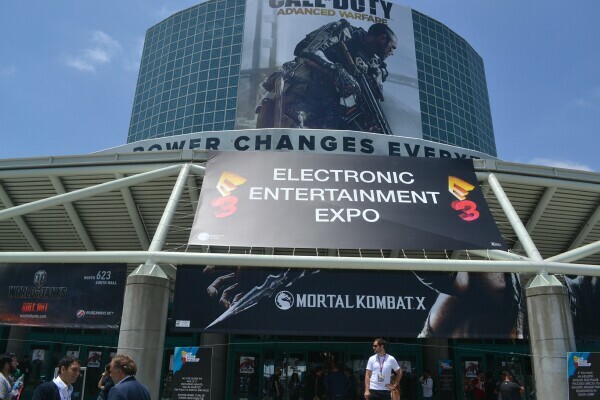 Overall, the E3 folks did a great job of keeping the balance. But you guys didn’t stop by this page to hear about my trek. You’ve come for games and I’ve got plenty of interesting titles that I hope will grace your gaming screens in the near future. 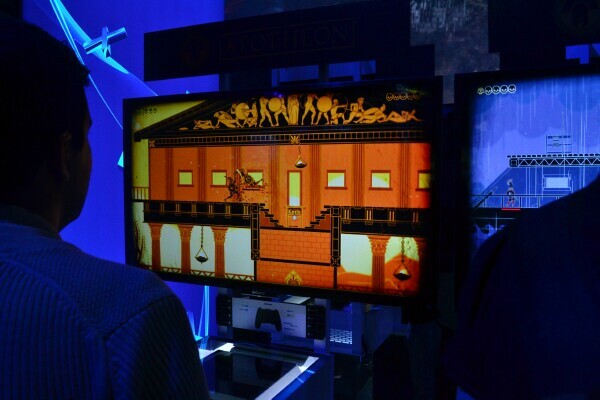 Apotheon – 2D side-scroller rpg making its debut on the Playstation 4 that takes place in a Greek mythological world, with an art style that’s found on ancient Greek pottery. Unfortunately the game itself wasn’t finished but what was on hand was a player vs. player similar to that of Smash Bros., where you try to take out your opponent using an assortment of weapons such as javelins, spears, swords, rocks and even vats of hot oil. The game is currently available on Steam but look for the PS4 version later this year. Night in the Woods – One of the strangest games I saw on the floor and after playing it I still wasn’t sure what was going on. The style is similar to the cut out cardboard look from South Park; and from what I can gather about the game and taken from the company’s website: Night In The Woods is an adventure game heavily focused on story, characters and exploration, with some platforming to get around town. Mae's a cat so the roofs and ledges and powerlines are all her playground, and she's not the only one up there by a long shot. You'll also be doing various activities and interacting with the world in different ways, getting to know the townspeople, hanging out with friends, exploring Possum Springs inside and out, and venturing into the surrounding areas. I didn’t do much but walk around and talk to people, but I’m sure with more hands on and exploration, the experience would be better. Visually though the game looks good. 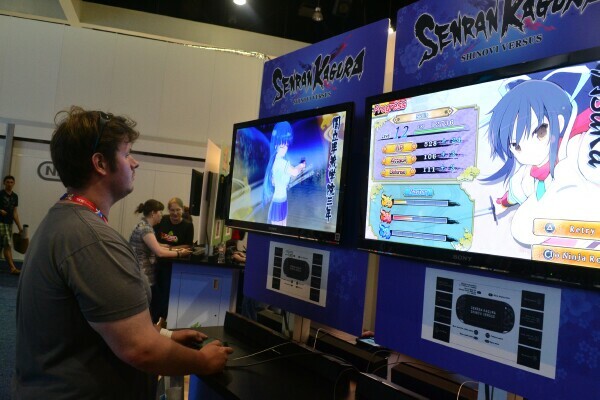 Senran Kagura Shinovi Versus – The folks over at XSEED were showing off two games that really catered to my… ahem… interest. Senran Kagura is the first title, exclusive to the Playstation Vita, is a 3rd person action/RPG title done in the like of such games as Dynasty warriors or even Fist of the North Star: Ken’s Rage. You play as one of any number of high school Shinobi Fighters from rival schools, each with their own style weapon and special movies. Battles are won when your opponent is stripped bare. But be careful as the same can be done to you. Great cinematics, awesome gameplay, and those luscious fighters make for uhmmmm wonderful experience. 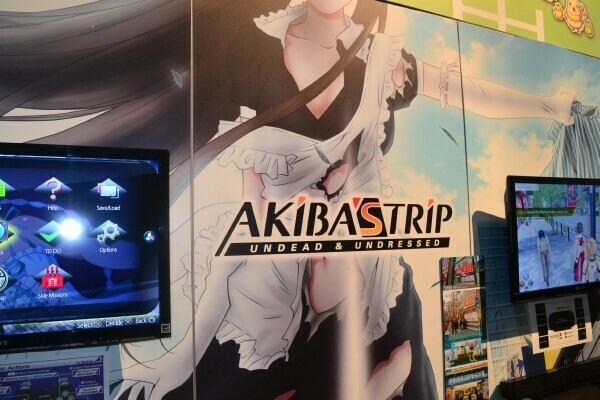 Akiba's Trip (Valkor Favorite) – The second title from XSEED, playable on the Playstation 3 and the Vita. Here is a title that drops you smack dab in the middle of one of my favorite places on the planet – Akihabara, in Tokyo Japan. In Akiba Strip, you’ll play as Nanashi, whose job it is to fight and expose vampire-like beings by stripping them in combat. Removing their outer garments exposes them to the sun, which defeats them. It took some time to get into the combat system as the triangle, circle and X buttons are used to hit a particular part of the body or garment (i.e. X is for pants). Yes you can even go so far as stripping them completely naked, but you don’t see the nakedness. The game is short but it has loads of replay value and lots of side missions to keep you busy. Plus there’s dialogue that needs to be completed that will change the dynamic between you and your partner, again changing how the game plays out. Between Senran Kagura and this game, that was the craziest hour I spent on the show floor! Bayonetta 2 – A Wii-U exclusive, all the fast-paced crazy combo goodness is back plus Platinum Games is tossing in a rival – Jeanne who you can use in co-op action. Gameplay is frantic with fluid animation that looks amazing on the Wii-U. The scene where Bayonetta is fighting monsters on a a plane then on top of a train is intense! Added to the mix, you can perform special moves involving Jeanne that looks incredible. I currently don’t own a Wii-U, but if there was ever a reason to get one, this game would be that reason. 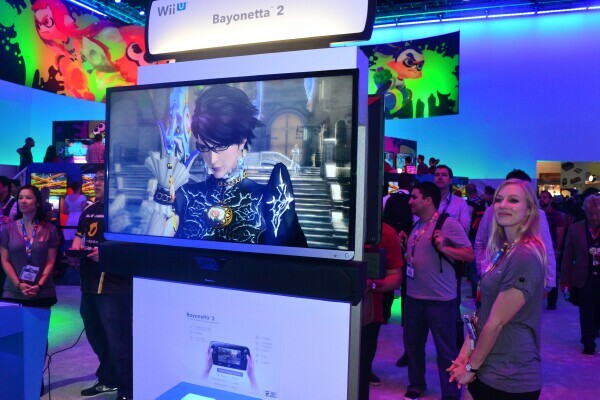 Bonus: The game will be released with the first Bayonetta! Awwww yissssss! 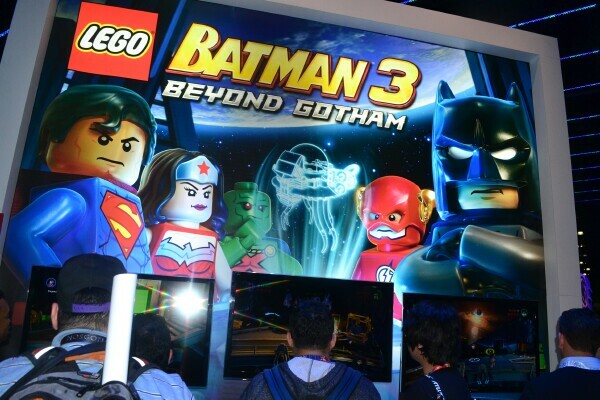 Lego Batman 3 Beyond Gotham – If you’re a fan of the Lego series of video games, then expect more of the same but in an all new setting, with loads of new characters to play as, two player co-op, and all the block busting/building, comedic antics and those crazy Lego studs that go everywhere. The version I got the chance to play was on the PS4, which had Batman and Robin going through this process of starting up the Bat-rocket, launching into space and fighting outside a space station controlled by Lex Luthor. At that point in, the game incorporates different play styles from third person, top-down and 2D shooter. When I and another player got stuck trying to destroy this turret on the satellite, that’s when I moved on. Otherwise, it looks well polished in all of its next gen glory and the perfect fit for the Lego video game series. 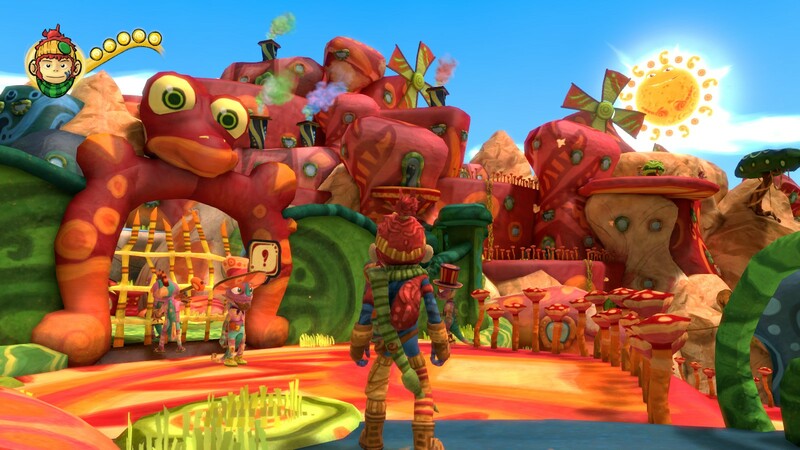 The Last Tinker: City of Color – Another indie title that’s currently on the PC/MAC/Linux that’s about to get some shine on the PS4. In “The Last Tinker”, you’ll play as Koru, whose job it is to save the people of Tinkerworld from the all encompassing Bleakness. Koru uses different colors to battle the Bleakness soldiers as well as to solve puzzles. His fighting style is similar to that of Batman in the Arkham games where you use one button in succession to form insane combos. Visually, The Last Tinker looks amazing with so much color. But that could also be its downfall as it might be “too much”? But in the end, I didn’t hate The Last Tinker, but I feel a more in-depth look will help gauge my interest. 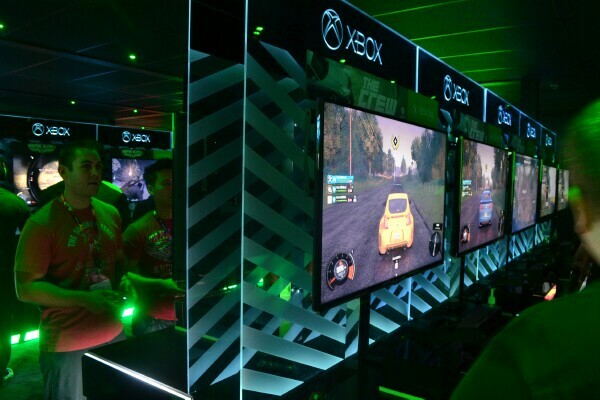 The Crew – An MMO-style driving game set to make an appearance on the PS4, XB1, and PC and set in an open-world environment. There are loads of RPG-elements in how you build/modify and upgrade your vehicles and the attention to detail alone when piecing one together is immense. When you’re done you can take or missions and races solo or race with “your crew” and tackle missions together. Graphically, the game is gorgeous and the controls are almost spot-on. I’m more particular to arcade racers, but I can see myself getting into this one. Next month PC gamers get early access to the beta; consoles will have to wait another month to enjoy it, but this one might be worth it though. 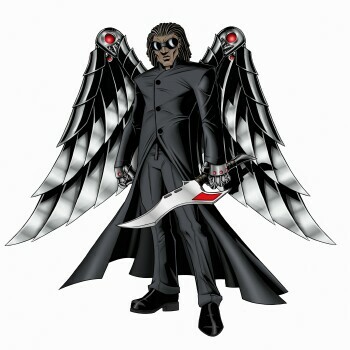 Aztez – Control your empire using strategy while dishing out punishment beat em up style. That’s the idea behind Aztez. While reps were busy helping others, I decided to help myself to a few rounds. I didn’t get the chance to play any of the strata areas, the beat em up portions were solid and fun as I strung together some crazy combos, filling the arena I was in with the blood and corpses of my enemy. My god… it was beautiful. 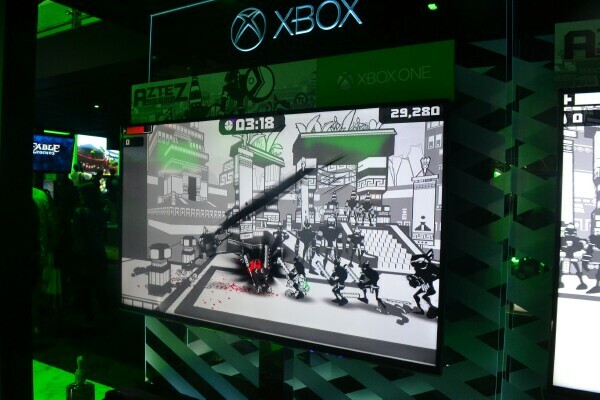 From the image below you can see graphically the game is in black and white with red for the blood, similar to that of Madworld. I definitely want to see how the strat portion plays out but I’m already in lust with the beat em up. Knight Squad – This one is a top-down, arena style game similar to that of Bomberman that can be played with 1 – 8 players (at the time of this piece the game can only be played Locally). Once each player has chosen their knight, then you get to choose between one of six styles of play – Grail, Soccer, Team Deathmatch, Gladiator, Last Man Standing, and Capture the Flag. The first round found me and a group playing Grail, where we had to snag a grail from the center of the arena and bring it back to our own base. It was insane, especially when you toss in the added weapons (I love that laser that shoots through everything just about). Soccer was another fun game where a giant boulder takes the place of a little ball. Of course you have to get it into the opposing team’s goal, but the added use of weaponry makes it much more fun and chaotic. 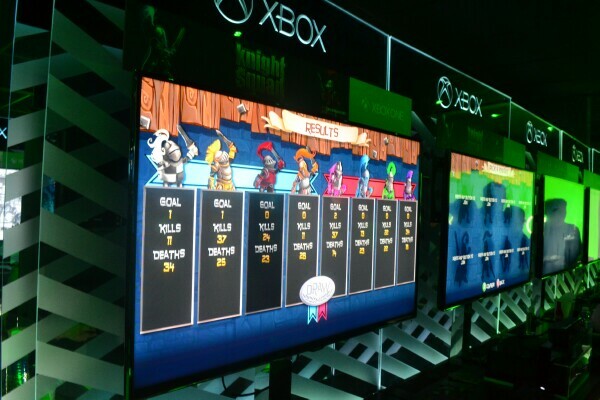 Knight Squad has the potential of being a fun party game, especially when the online multiplayer is implemented. 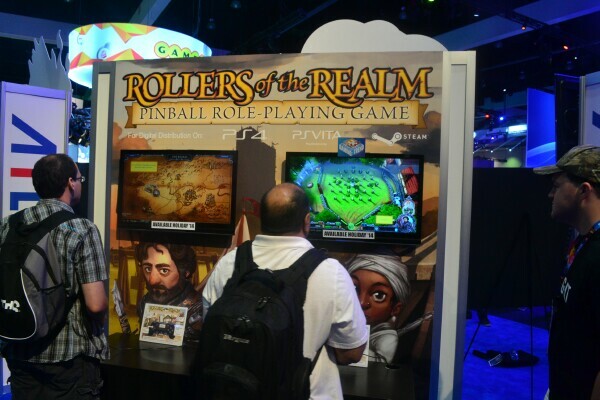 Rollers of the Realm – I thought Akiba Strip would be the greatest find at this year’s E3; imagine my surprise when I came across this unique game. “Rollers of the Realm” is an RPG/Pinball game that’ll make its appearance on the PS4, PS Vita and PC. The pinball physics were on the money and I loved how the RPG elements played out – you even form a party, with each new ball showcasing different abilities that’ll assist you throughout your journey. If I could have played this game for hours, I totally would. 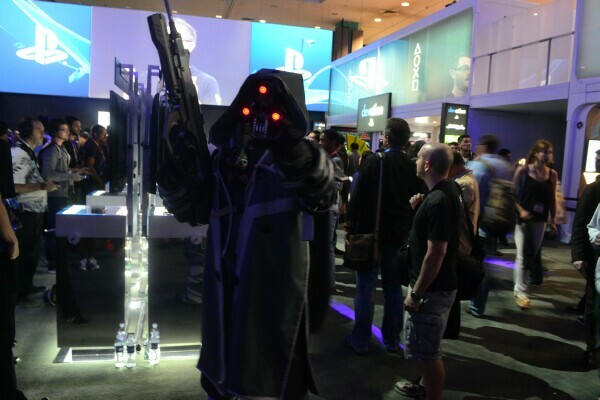 I’ve got just a few more E3 2014 articles on the way including this year’s PerfectView. So stay tuned. In the end I had such a great time at this year’s show, which is easily the mellowest of any show I’ve attended in a long while and it was not as frantic as I would have thought. Some of the bigger titles were difficult to get hands on, but I’m happy with what I walked away with, which are titles I’ll definitely be doing a follow up.